The Department of Natural Resources has a new and improved rain garden manual for your use! 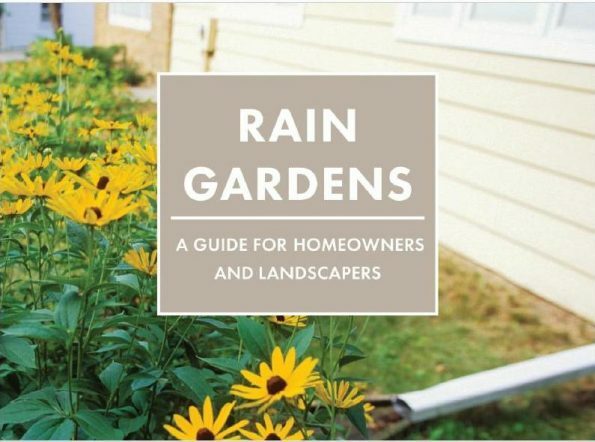 Rain Gardens: A Guide for Homeowners and Landscapers, the new manual, discusses the three main steps to designing a rain garden for your home: Step 1 – sizing and siting, Step 2 – constructing, and Step 3 – Planting and Maintaining. It also includes a list of recommended plants. The new manual is available for download in both a beautiful, full-color version and a more simplified, printer-friendly version. The DNR does not have plans to distribute hard copies. November 2018 after they updated the rain garden technical standard. or system of practices to provide a predicted benefit to water resources. A WI Standards Oversight Council (SOC) team worked together to update the standard. Fun fact: Roger Bannerman, one of our board members, was on the SOC team!